The 40th annual Spring Tempe Festival of the Arts is soon upon us. 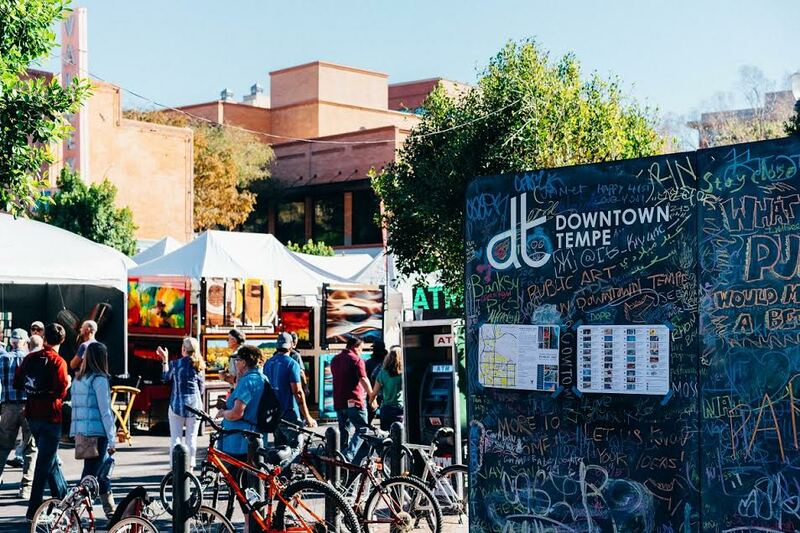 From March 31st thru April 2nd, 2017 Downtown Tempe will be bustling with artists, art lovers, and fair-weather festival attendees. From 10 am until 5:30 pm over 300 artists from around the country will be showcasing their works. This admission-free festival includes fan favorites such as food, drink, carnival fare, live entertainment, roving street performers, stages programmed with top musical talent, family-friendly activities and more. The Fall Festival of the Arts introduced new attractions to the festival that will continue into the spring fest. Sixth + Mill Makers area will be returning along with Food Truck Alley. Sixth + Mill Makers is a DIY section of local artists curated by local artists with a lounge, “Make & Take” tent and more. Visitors can look forward to shopping popular and up and coming local vendors such as Standard Wax, Pure Life Jewelry, Lucky Air Plant and Iconic Cocktail. While perusing the curated artists of the Spring Festival of the Arts attendees will find entertainment in the streets and across three stages; 5th Street East of Mill Avenue, Centerpoint Stage, and the Hayden Square stage. Look forward to featured street performers Desert Dragon Mask Theatre featuring Zarco Guerrero at Cameo Circle and Holly Pyle & House of Stairs at Centerpoint Stage just to name a few. Tired of walking around and want to get off your feet? Take a break from the crowds and check out Downtown Tempe’s famed restaurants, pubs, breweries, and shops. You’ll find great spots to keep you coming downtown all year long.